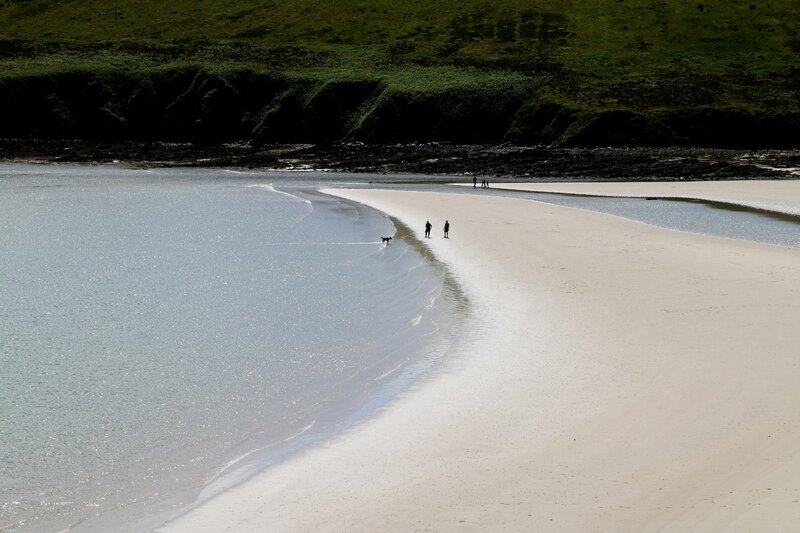 This is one of the Orkney mainland's most spectacular beaches, with a huge expanse of golden sand at low tide. 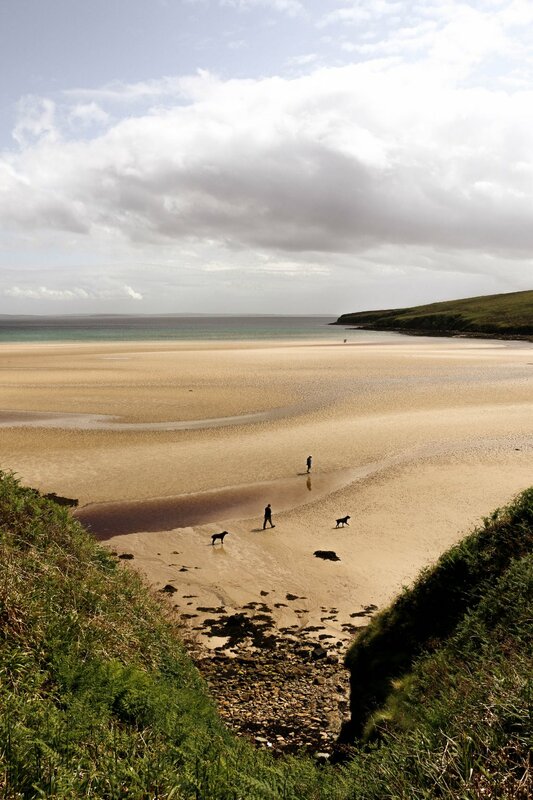 Waulkmill is a beautiful beach found in the parish of Orphir, in Orkney's west mainland. 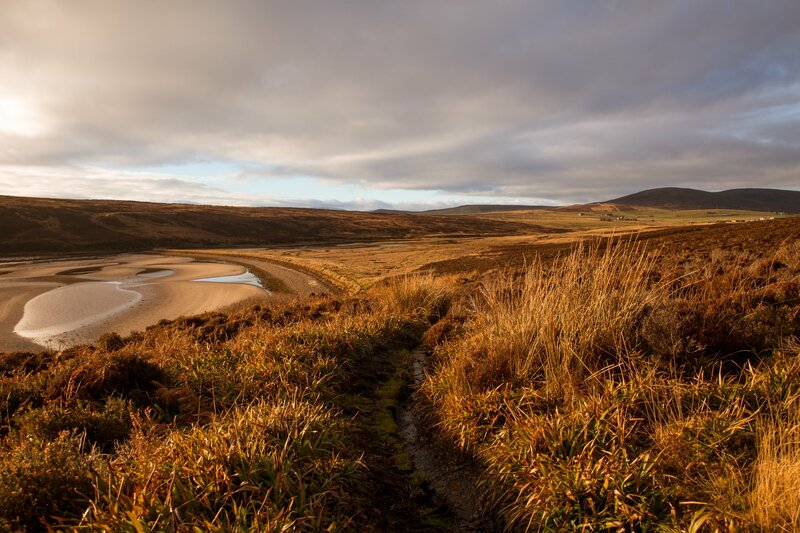 A small side road leads you to car parking space and a public toilet block above the beach, with some relatively steep steps taking you down to the sand itself. Once you get there, you'll realise the effort was well worth it! 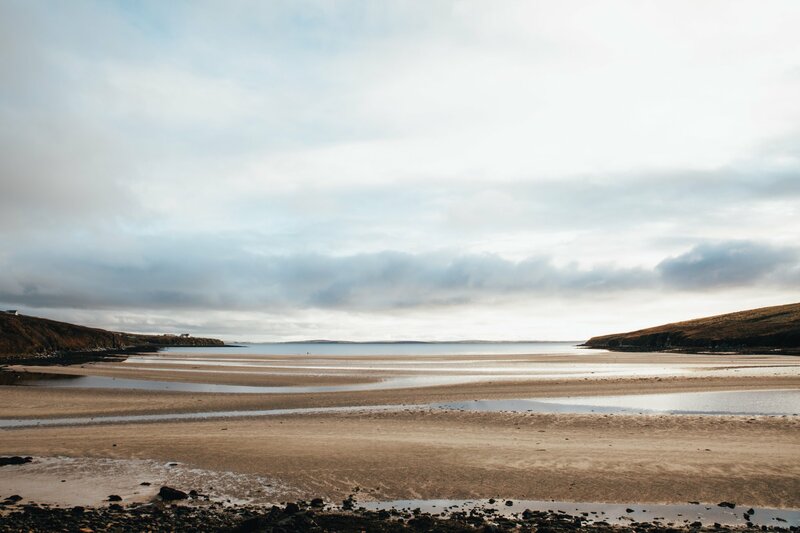 At low tide, Waulkmill is one of the biggest beaches in the islands, with a stunning stretch of sand taking up the whole bay and leading towards the shallow, clean and clear waters of Scapa Flow. If you arrive at high tide, don't despair! During the winter months you might be able to spot Slavonian grebes and long-tailed ducks. 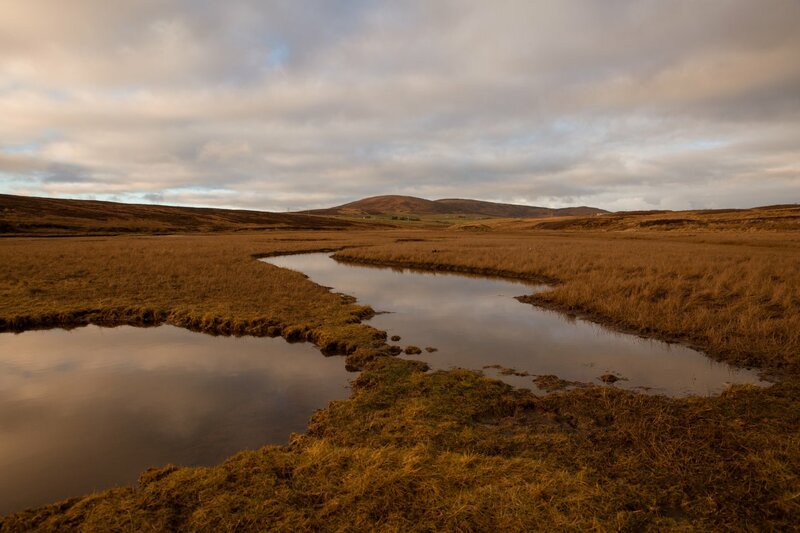 There is also an excellent walk at the back of the beach, on one of Orkney's largest saltmarshes.